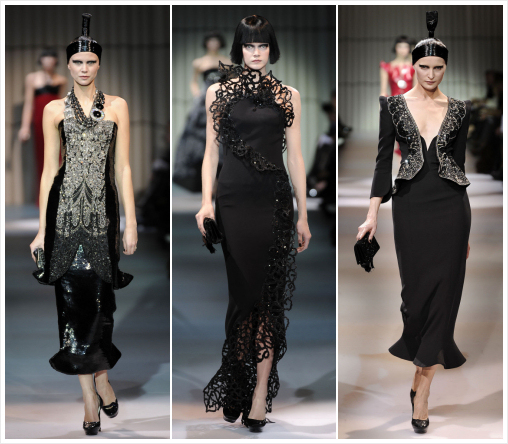 Giorgio Armani’s Couture this season is so elegant. The wedding dresses at the end were probably some of the best i’ve ever seen.. beautifully executed as usual. 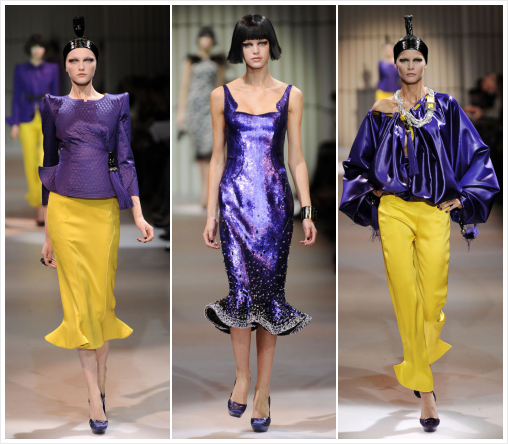 This time around they focused on regality, goth blacks, purples, reds, yellows and a few other well chosen colors. All of the clothing pieces hug the body so well, showing off each curve so exquisitely, it almost makes you think the models were born in this clothing. You can see more of this collection here. The dresses are just spetacular. I can just dream about to which parties I would wear them too, lol. Wow. I never thought Armani could pull these out! I love all the texture. There’s something almost Alexander McQueen/Balmain about all the bling and details. 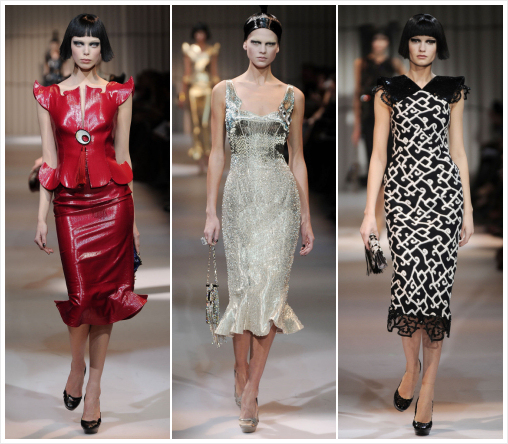 I’m really loving the scalloped edges and the trumpet shaped skirts. So gorgeous!